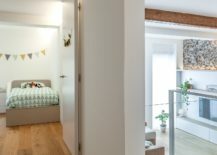 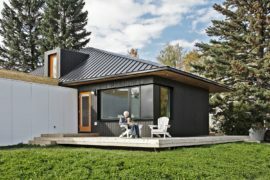 Modern renovations often bring forth the most interesting features in home design that otherwise would simply never become the focal point of an architectural conversation. 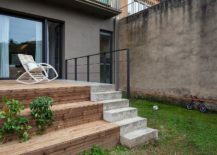 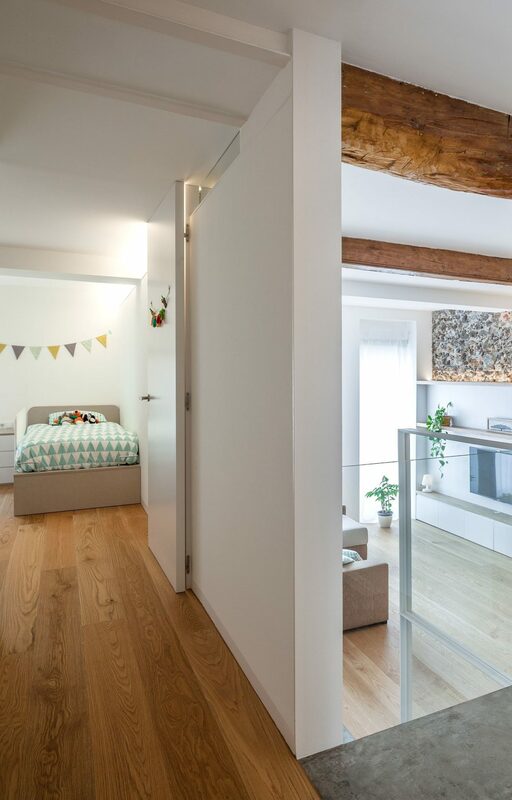 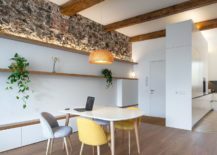 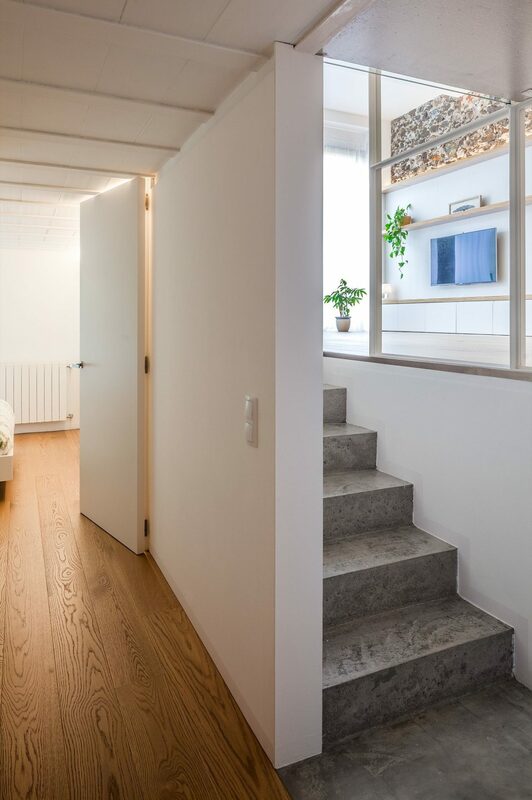 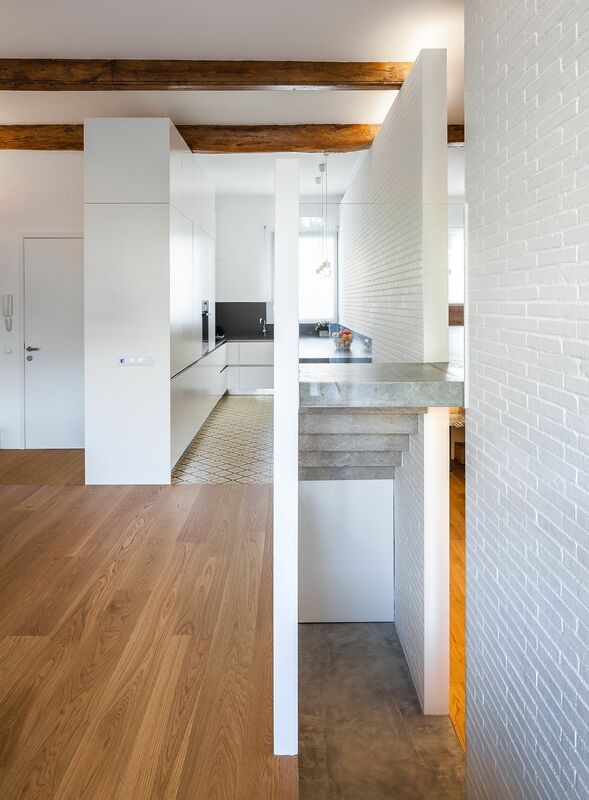 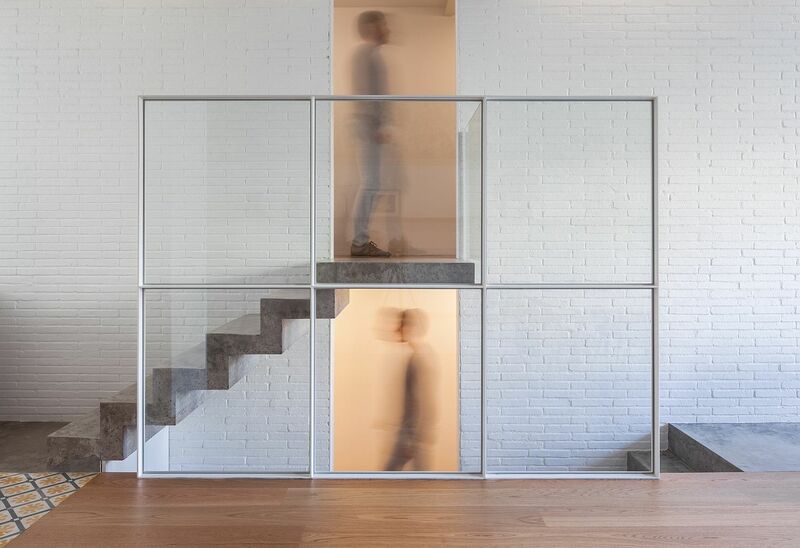 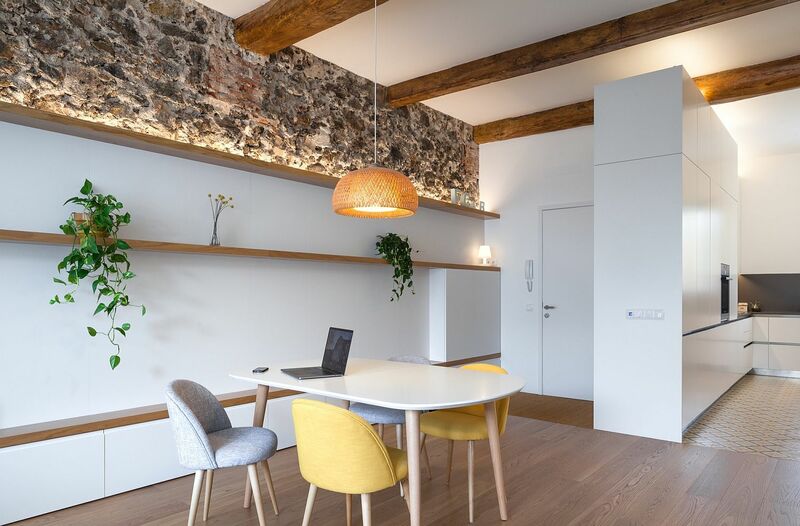 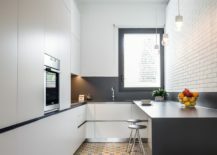 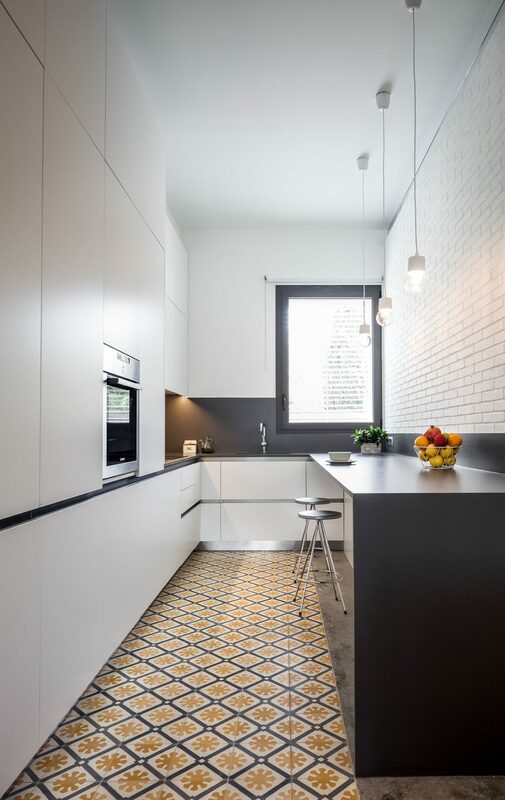 Turning an old ground floor flat in Olot, Spain, Arnau Vergés Tejero used a ‘carpet of concrete’ to link the various rooms of the Carpet House visually. 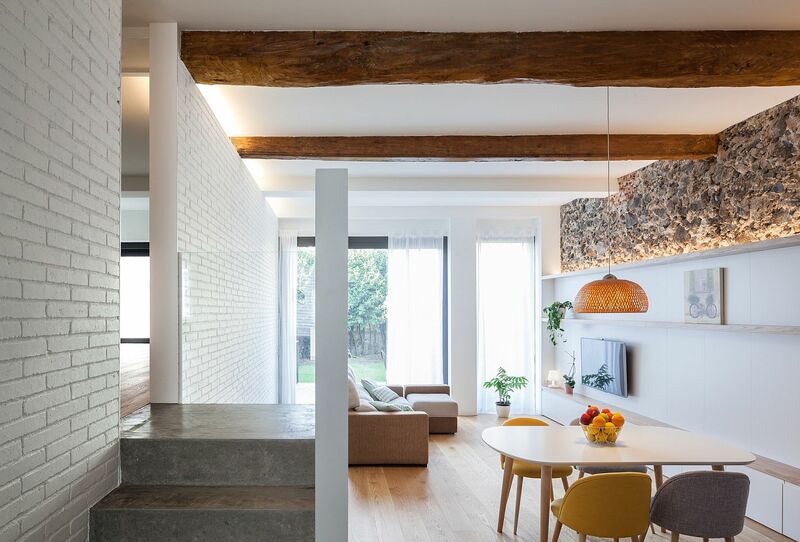 Rearranging the space internally across two different levels, the new interior feels uncluttered, spacious and cheerful without trying too hard. 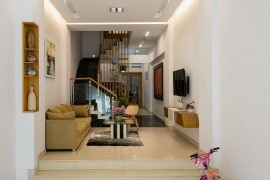 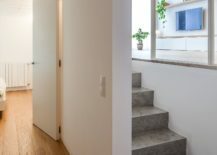 An intermediate level between the lower level and the upper private floor was added to link both the levels even while maximizing space. 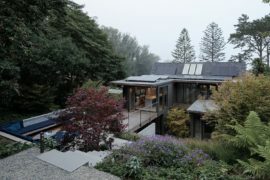 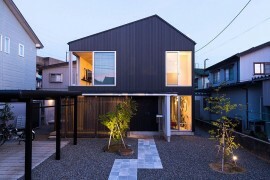 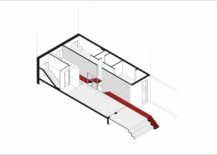 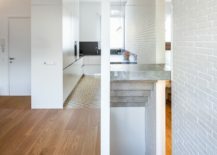 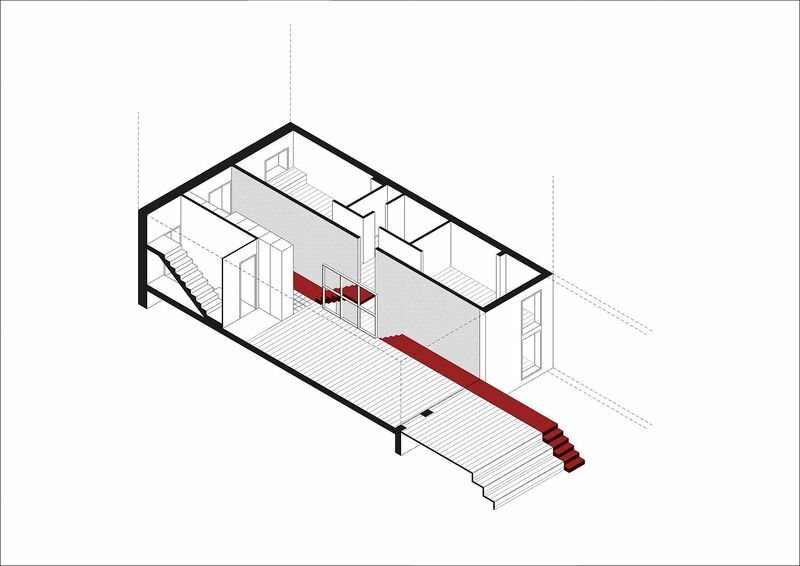 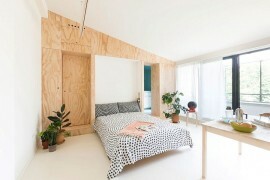 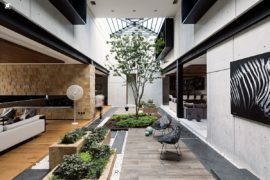 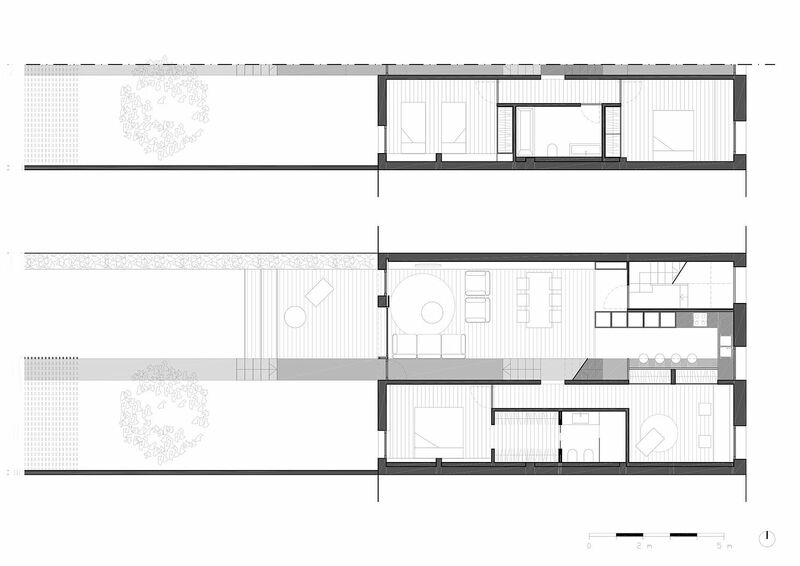 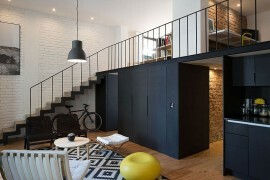 In order to connect the three levels that we obtained, we put a concrete carpet touching the cut that we stretch in order to link all the spaces in the house: from the kitchen to the garden passing by the lower level of rooms and the dining-room. 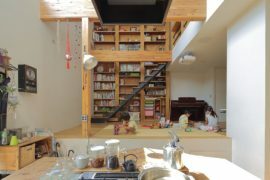 And to access the upper level that we have built, we lift the carpet.